Dublin City Council has approved a planning application that allows for a Lidl and six-storey student accommodation in the middle of Ballymun. It is a decision that the council and Ballymun residents will rue for many years to come. The needs of Ballymun will not be served by adding homes for more people on lower incomes. 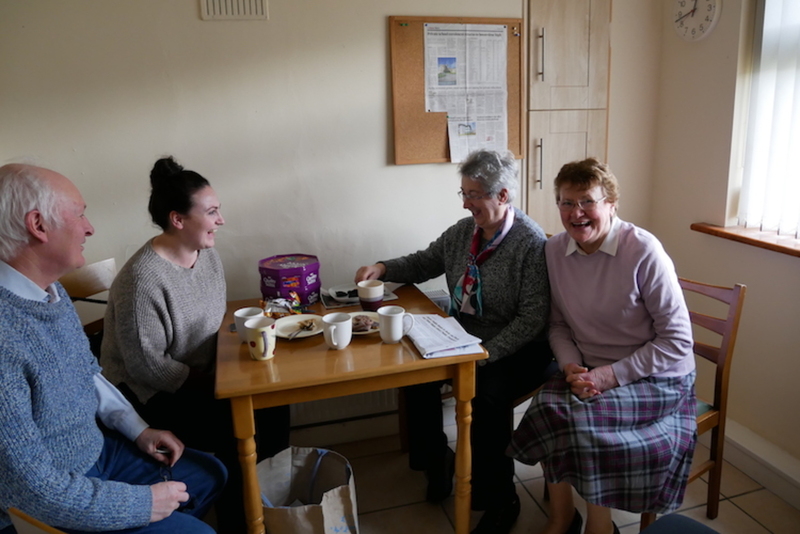 Whilst students do tend to spend all their income, there is nowhere in Ballymun to soak it up that will be beneficial to the existing community, or business. Is a single Lidl located as an island in the central core of the main street likely to add confidence to investors to locate to Ballymun? Or will it be seen as an act of desperation? The announcement of the regeneration of Ballymun was generally met with positivity in 1997. There was some distrust of the council, and its capacity to deliver, and concern about the role of the community in the redevelopment. But, overall, this was to be a physical, social, and economic regeneration. The cost of refurbishing the existing flats and spines would have been excessive, which allowed for this very brave decision to be taken by the Rainbow Coalition. The decision was respected by the incoming Fianna Fáil and Progressive Democrats government, and was a testament to the need for fundamental change in this area. The regeneration process was imaginative, daring, and audacious at times. It faced hold-ups due to spurious legal challenges and the poor design of the physical infrastructure from the 1960s. There was some opposition from the community, and a lot of scepticism. The establishment of the Ballymun Regeneration Limited (BRL) company, which was wholly owned by Dublin City Council, and its staffing by a team of skilled professionals and a dedicated team of workers, won over the majority of the Ballymun community. Plans for an industrial unit and perhaps a third-level college were examined by BRL for the area around the M50 motorway where IKEA now stands. There was a massive programme of public consultation, along with community training and briefings. Imaginative designs were turned into new estates, and the towers came down. The key to the new Ballymun was that it would have a dynamic new centre that would look like a normal street with shops, offices, and accommodation all along the main street right up to the crossroads with Santry Avenue. There was to be a cinema, a bowling ally, and other recreational and community activity. The idea was that Ballymun was to have an influx of private-market housing. Ballymun was to be a destination. As we all know, this plan did not pan out this way. There was a failure to get significant investors into the wider Ballymun area and bring economic activity. This may not have been a problem with BRL, but perhaps the lack of imagination and creativity of the private sector in addressing regeneration of brownfield development and seeing new possibilities. Yet the development of Santry Demesne proceeded at a pace and became a successful new area. Legal difficulties with the tenants in the old shopping centre in Ballymun held up progress on the core of the regeneration. Relations with the existing owners of the centre were fraught with difficulties. Two very significant developments were proposed by the owners, Treasury Holdings, and both got council approval. But with the economic collapse, work stopped. As indeed did the final stages of the regeneration process, leaving Ballymun just 80 percent finished. A bit like it was in the 1970s. One private block of apartments was constructed, but they were quickly let to HSE clients, to the dismay and anger of the BRL team. Their vision for a more mixed-income Ballymun was hampered by the failure to attract more private-owner-occupied accommodation to the area. The National College of Ireland went to the Docklands instead of Ballymun, and the industrial area did not happen. IKEA has been a stunning success, but is isolated in one corner of the Fingal area. The centre of Ballymun has, however, been nothing short of a unmitigated disaster. 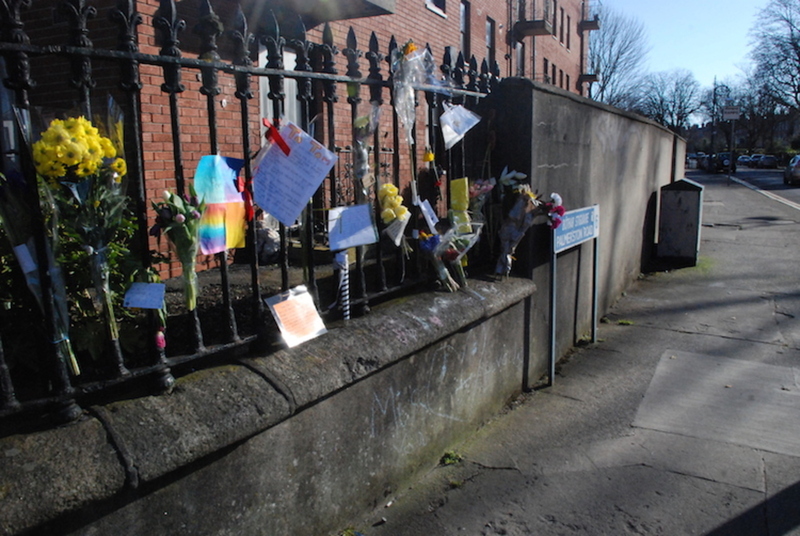 The old health centre, which was a disgrace as a place to work or to go for services, still stands, as does the long-vacated Garda station, disused pub, and a closed bank. A shopping centre with two small clients remains open. Across the road is the stunning Ballymun Civic Centre, which houses HSE offices, Dublin City Council offices, a Department of Social Protection office, a Garda station and the Eastern & Midland Regional Assembly. Also, the Axis theatre is working away effectively. But Ballymun is not a destination. It’s a place where people have to leave to do their shopping and find their entertainment. The development of student accommodation over a Lidl in a prime location in the centre of Ballymun will influence future development decisions as well as layout of the the built environments. 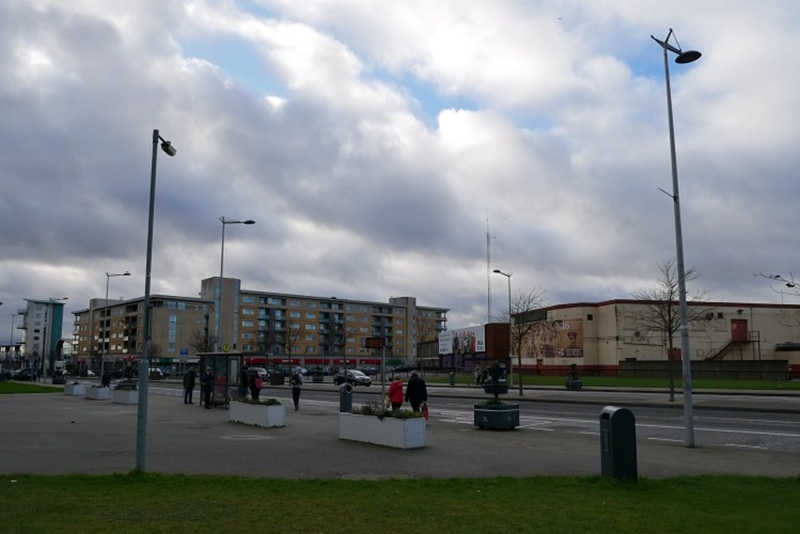 While the original proposal from the current developer for this site in Ballymun was much more modest – a store and one-storey of accommodation – the current proposed development is not what is required either. The National Development Plan, while being somewhat restrictive on the development of Dublin, still allows for 250,000 more people in the Greater Dublin Area. It is areas in the west, the centre, and the north that will deliver this growth. Neighbourhoods such as Ballymun, Finglas, and the northern fringes have suddenly become much more important to the strategic growth of a compact city. The government plans to put a metro through the centre of Ballymun. But the metro depends on high-density and mobile populations, and based on current population figures and the travel patterns of people in this area, the plans are not warranted. Failure to recognise this could jeopardise the economic sustainability of the metro. As things are, the old shopping centre with a disused Garda station and health centre stand on prime land. 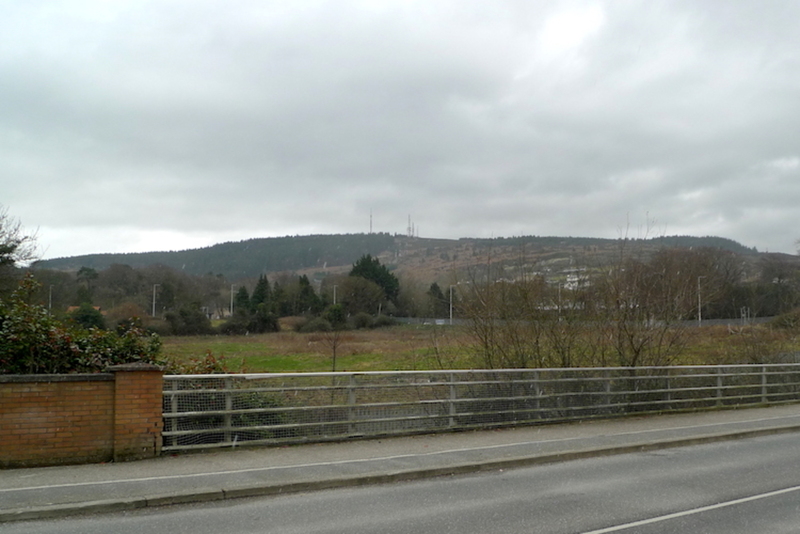 The area around this dereliction and the temporary open green area that runs up to Santry Avenue remain undeveloped. We are in the midst of a housing shortage, and we have an area that has received €1 billion in state investment which is tragically and unforgivably unfinished. The failure to have households with a greater mix of incomes in an area like Ballymun means that the possibility of increasing investment is diminished. This means fewer services, fewer places for entertainment, socialising, shopping and employment. Ballymun is just one part of a large swathe of social housing on the north side of Dublin. All have had poor service and community provision, poor environmental standards and low employment levels. This is not how a quality, dynamic city should look or operate. Ballymun’s failure to reach its potential as a destination as outlined by BRL, or as a core of a community, is a shame. It’s a huge missed opportunity. Odran Reid: Odran Reid lectures in economics, local development and planning at Dublin Institute of Technology, and is a member of the Dublin City Council's Planning and Property Development Strategic Policy Committee. Great article, can anything be done to rectify the situation? Absolutely spot-on article! It’s a pity that the enthusiasm and drive that were there at the start of the project seem to have disappeared. The recession didn’t help but I think the plans for Ballymun failed long before that. Even during the boom, there was little private interest in buying apartments in Ballymun and, whether it was prescient or a self-fulfilling prophesy, the market was right. People who bought those apartments ended up regretting it. I wonder if DCC have considered letting commercial units at a heavily discounted rate in an effort to support local or start-up shops? Firstly I am not from Ballymun, or Dublin but I have been through the area many times and visited in the bad old days and as recently as a fortnight ago. The article is spot on, it is clever and points to the fact that planning isn’t a major concern for some at the Local authority level. Interestingly there still is hectares of open space, not developed and in my last trip through, there were very few big name stores that you would see in other areas other than a Supervalu. Transport is a major concern a considerable local issue. There are more buses going from the red cow tram station to the airport which is on the Ballymun doorstep. The transport issues are compounded by the lack of facilities for young and old people. Ballymun in my view hasn’t prospered from its so-called Rejuvenation but it has grown up. Technology arms people with the information needed to seek out their rights. As for the Authors description of a new Aldi in the centre of the Core Area, and student accommodation on top. I can only imagine the benefits that will bring. There weren’t many pubs on my last trip a fortnight ago so cheap beer and parties on top of Aldi may turn out to be the norm. Great to see someone questioning and addressing ways to enhance Ballymun. Whilst ‘any development’ is usually to be welcomed in areas crying out for investment, I agree with Odran that Ballymun needs a more imaginative approach. A dynamic new centre comprising mixed use commercial and residential development, with a diverse range of private and affordable residential housing would be preferable. In addition to having a Metro link to the city and the airport, a vibrant town centre is essential to attract investment and new residents. This should go some way towards establishing Ballymun as a new destination. I was involved in the regeneration process all the way through. BRL promised the local people two major things they reneged upon. (1) They recognised that the original Ballymun project was uncompleted and this was a significant reason it became a containment area for the vulnerable in society. (2) The increase in building density was a way of managing unused green areas, which became dumping grounds and hotspots of antisocial behaviour. The end result was Ballymun was not finished like the original project in the 1960’s. People are living in closer proximity to one another than before, there are vast tracks of green space that are unmanaged and are being used as dumping grounds. Antisocial behaviour is on the rise again. There is absolutely no sense of community as many of the outstanding community volunteers and leaders have been actively demoralised. See my take away message from living in Ballymun for most of my life and being active for nearly 2 decades is this. When some organisation enters an area stating they are going to regenerate your community. Be very, very, wary of Greeks bearing gifts. The project went wrong when BRL lost the support of the community. This happened long before the project was abandoned. The upper management were of a level of arrogance that was indescribable. They told the community what was happening, as opposed to involving them. They set up bogus community liaison organisations to disguise this fact, such as the Ballymun Neighbourhood Council/ The housing Task Force. These local organisation’s mandate was centralised around promoting house building. The more built the greater the budget for these organisations. Community liaison and insuring numbers of units being built was always inconsistent with one another. Meaning liaisoning with the residents and their concerns always came second. There went the trust. Poppintree, the most affluent of the Ballymun boroughs, where healthy tenure diversity was nurtured over decades was degenerated. In order to use the main street area of Ballymun as a carrot to attract private investment. The socioeconomic and owner occupier mix of Poppintree was somewhat reversed. No regeneration can happen unless the communitys needs are front and central. The past shows that Ballymun residents needs have always been the last thing on the agenda. This is why Ballymun has become what it is and why it’s steadily returning to what it was…. Huge opportunity lost to correct the mistakes of the 60’s. As troubled as it was in the 80’s it had more spirit then, than now. Ballymun deserves a well laid out, attractive street frontage along with a decent Shopping Centre. Excellent article Odran. It needs a dogged political champion to stimulate a turnaround. Unfortunately not enough people vote in Ballymun. That’s where the Community or those involved in supporting need to target their energies. I’m sure it would also be in the interest of the business community too – IKEA would be listened to. Ballymun has huge potential and talent. Excellent article Odran. 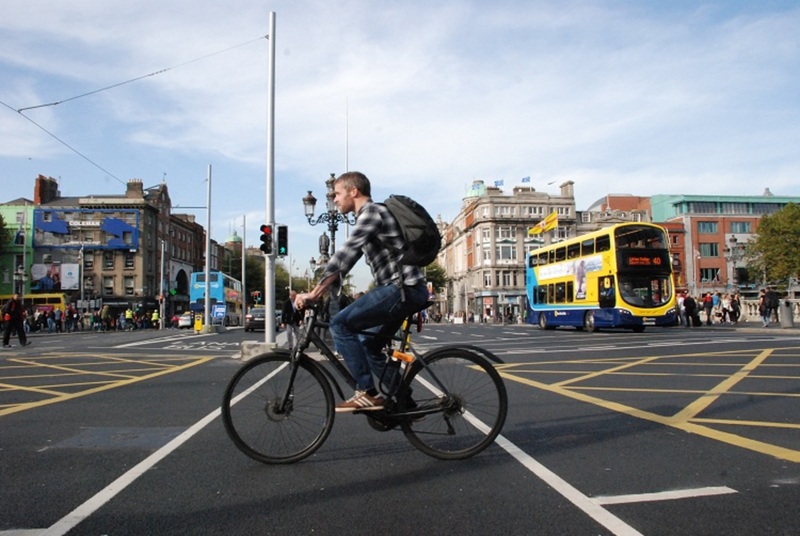 It is nice to hear that there are still people passionate not just about the city centre but other places of Dublin city in terms of planning. No doubt that a lot has been done in Ballymun; however, this is a place where innovation and new trends aiming for resilient and integrated communities are far from being applied Local governance as it stands in Dublin and the entire nation are seriously responsible for this. It is time for planning to be part of the solution and no the cause of the illness. Poor higher level analysis that over compliments Ben’s role. The history of Ballymun should acknowledge the self interests of a core group of individuals which led to cronic poor governance, corruption if you will. A very well written piece as always by Odran, he has touched on some very important points in his piece. Having some knowledge of the area historically and even in modern times the issues still remain. The notion or idea that there can be mixed income families living in the area just isn’t realistic, this inability of Planners and County Council people along with Politicians to understand the drawbacks of Ballymun is the reason why its not changing for the better. I had the opportunity to speak with one of the local Garda recently who is working in Ballymun for the last 15 years. He was telling me things are getting worse, drugs, crime continue to destroy the community. There are many good people in the area but as always the few continue to spoil it. Until the area is cleaned up there will be little or no investment in the area, you can forget mixed income moving in. The more things change the more they stay the same. I’m in my 3rd year in Spatial Planning, whilst in 2nd year we had to do an essay on the regeneration of Ballymun. Well I must confess that I gave it a rousing success story spin. I looked at what it was in the 60s, and concluded after being convinced by the steps put in place via the BRL that this would be well managed all the way untill the project is completed. I was obviously and embarrisingly very wrong. BRL has not done the job it given and people should be held accountable. 80% finished is a disgrace! To have broken down relationships with the locals should be unacceptable and it sounds like there has been no progress for years now….for a private apartment block to be let out to the HSE is a national scandal giving the housing crisis, whilst off the back of BRL being strongly opposed to it. How did this go ahead? Heads should roll, people should be sacked from there jobs over this! Is there ever going to be accountability in a state body? People have to loose their jobs if there is to be accountability, that’s how we improve facilities! How this was let to get to this point should not be accepted by the people of Ballymun. Maybe if they organised a few 100 to stage a protest, just to shed some light on the issue. Lord knosw the media won’t report anything unless is a shooting or something negative. I wouldn’t hold any hope of DCC doing anything to help as they are the problem!